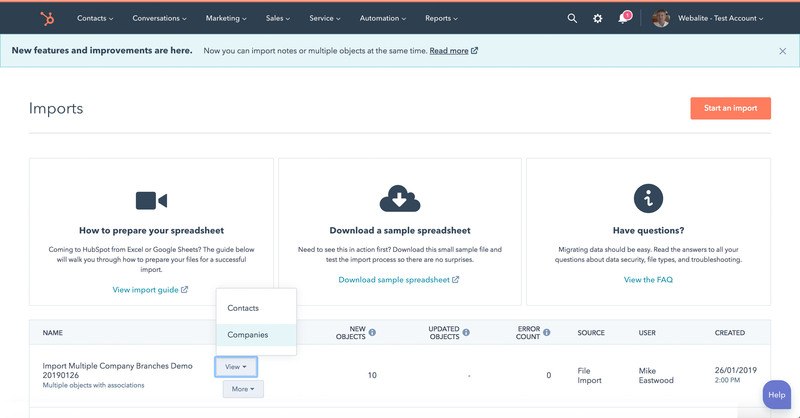 Importing Contacts and Companies into HubSpot – when your Companies have multiple branches – used to be a nightmare. 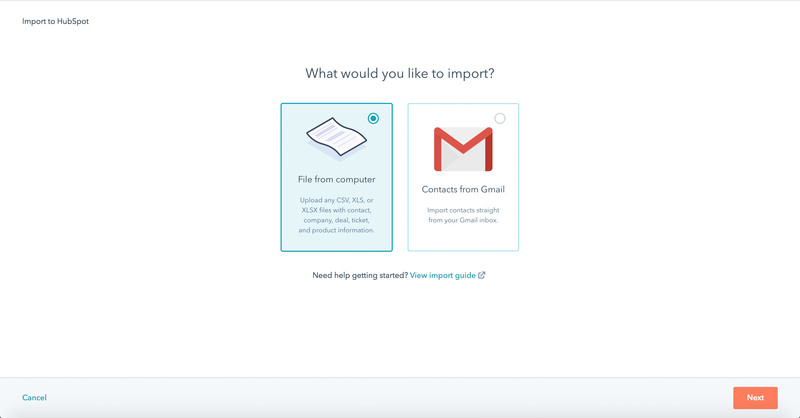 With the HubSpot CRM import tool it's much easier - here's how to run your import. Importing Contacts and Companies with multiple branches, locations or offices. You may have lots more properties you want to import so your spreadsheet may have many more columns than this simple example. When you import only one file HubSpot uses the Domain Name as the key to link the Contact to the Company. Then you'll end up with all the Companies merged... or you may see this error (yes, we had Company Name in our file but no Company Domain Name). So, by saving the same file twice (contacts.csv and companies.csv) we trick HubSpot into looking for a Unique Key rather than using the Domain Name as the unique identifier. Turn off "Automatically create and associate companies with contacts" OR exclude the domains to stop the association (see tips below). Save your data as a CSV file twice - exactly the same file - one named "Contacts.csv" and one named "Companies.csv". Click Start and Import (button top right). What would you like to Import? Choose File from computer. 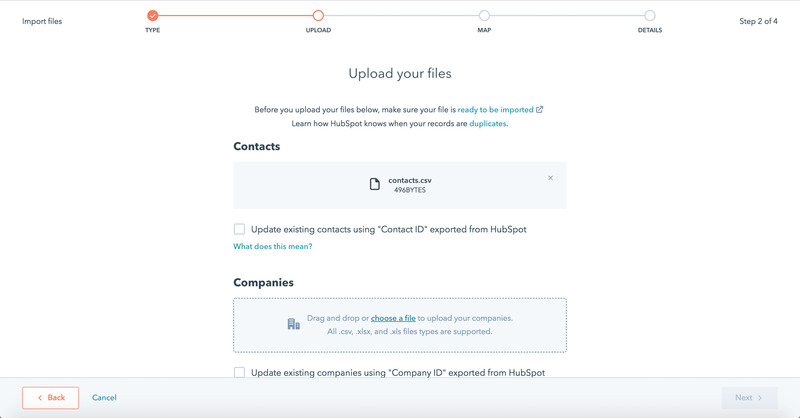 Make sure "Update exisiting records using "Object ID" exported from HubSpot." is NOT checked. Only use this if your CSV file came from HubSpot with HubSpot Object IDs. More below in the tips section. How many files are you importing? Choose Multiple files with Associations. Select the objects you's like to import and associate. Choose Contacts and Companies. Choose and upload a file for Contacts and a choose and upload a file for Companies. (Yes, we know it's the same file but HubSpot doesn't). How to associate your data. In the select list choose Unique ID. You will now be asked "Which object is Unique ID the unique key for?" choose Contacts. For "Unique ID" choose "Don't import column" at the bottom of the pop-up. Once you've mapped all the fields you want to include then click Next. You won't need "First name", "Last name" and "email" in your Company so choose "Don't import column". 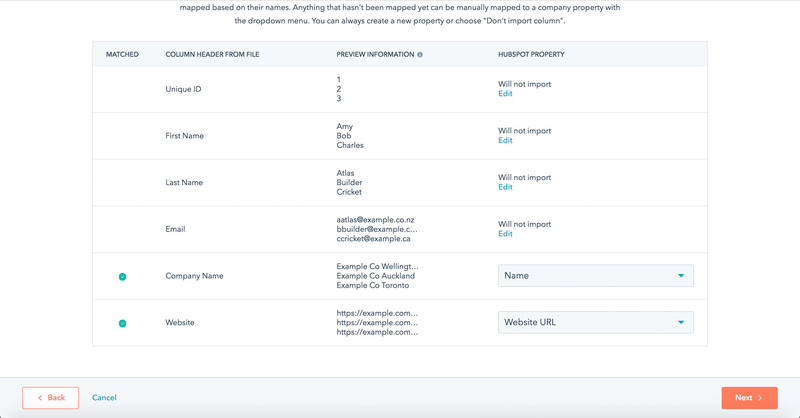 You do want to map "Company Name" and "Website" so map them and any other properties you want to import. Confirm you have permission to import these Contacts and Companies. Double check your Contacts and Companies have imported successfully. You will see, on the import screen, your import - which you named sensibly. Hover over the row and you will see View Contacts or Companies. I got Import Errors! What do I do? 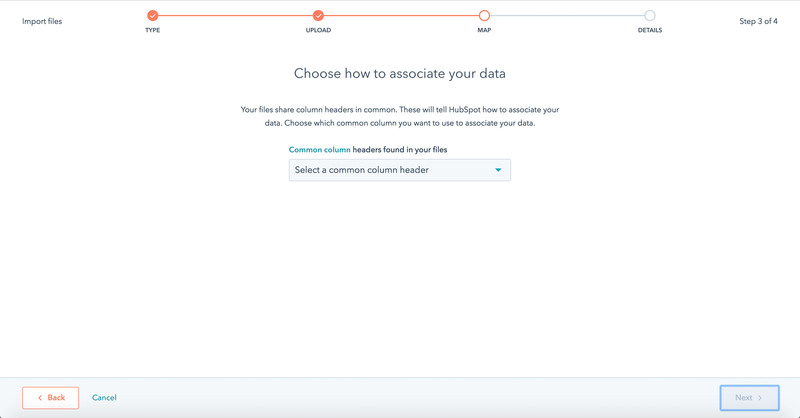 This is good - you can now find out what was wrong with your data. You can download the error log and work through the issues and correct your data. This is great – ok, maybe a bit tedious – now your data is going to be better than before because you've improved the quality. Here's a few tips and tricks we've picked up over the last few years. One spreadsheet to rule them all. If you have everything in one sheet your life will be easier - less likely to get errors trying to link things across multiple sheets. In the example above we used an Excel Spreadsheet named "Import-all-201901120.xlsx" then we saved "Import-Contacts-20190120.csv" and "Import-Companies-20190120.csv". Pretty easy to see which file is which during the import and when you need to go back later to see which files were imported. In our example above the file had a suffix "-20190126" so we know what the date was and, if there are multiple files, the files can be sorted by date easily. All software should come with a switch so we can stop the software trying to help. 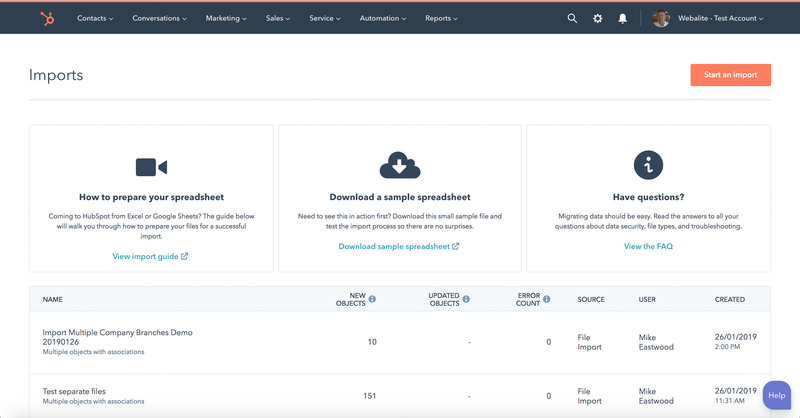 "Update exisiting records using "Object ID" exported from HubSpot"
This is useful if you need to manipulate the data you already have in HubSpot. You can export data e.g. Contacts, make updates in Excel, then import back into HubSpot. The "
HubSpot Object ID" helps the importer to update your original record in the HubSpot CRM. If you map a Column to a Property, during the import, that Property in your HubSpot CRM will be overwritten with the data from the import file. For example: if you import the "email" (Column) from your file then every email address (Property) will be overwritten for that Contact in the CRM - the import will update the Contact based on the "Object ID". If the Contact is not in HubSpot then it will be created. Yep – completely I understand. Because data management can be messy, time consuming and tedious it's really difficult for us to quote. And, it can be expensive because we don't know how long it will take. So, I recommend you do as much as you can to make sure you data is clean and tidy before you contact us.